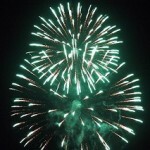 Throwing a July 4 bash can get pretty pricey. Just buying all the food can put you over budget. Remember, some of the best parties are not flashy and expensive but communal, intimate, and unique. You don’t have to spend a fortune to have a wonderful and memorable holiday. The legal team at Nottage and Ward, LLP is proud to announce that managing partner Leslie Fineberg is featured in the Leading Lawyers Magazine – Women’s Edition for 2015. 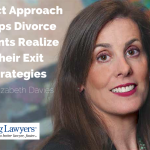 The article, titled “Leslie Fineberg: Direct Approach Helps Divorce Clients Realize their Exit Strategies,” captures Ms. Fineberg’s exceptional skill and intuitive approach to leading her clients through the divorce process. “Divorce is 50 percent law and 50 percent psychology,” says Ms. Fineberg. Her ability to keep a clear, level head while helping her clients handle such emotional turbulence sets her apart in a field that often takes advantage of divorcing spouses’ vulnerability.